French far-right leader Marine Le Pen launched her campaign for the May 26 European Parliament election on Sunday with an appeal to the broad "yellow vest" protest movement that has rattled the government. Le Pen urged the tens of thousands of protesters who have staged weekly protests against President Emmanuel Macron since November to make the EU vote a referendum on his policies. "In the context of the healthy popular revolt of the yellow vests, this election offers a chance to end this crisis born of the intransigence and contempt ... of an incompetent president whose behaviour is disturbing," Le Pen told an election rally for her National Rally party. 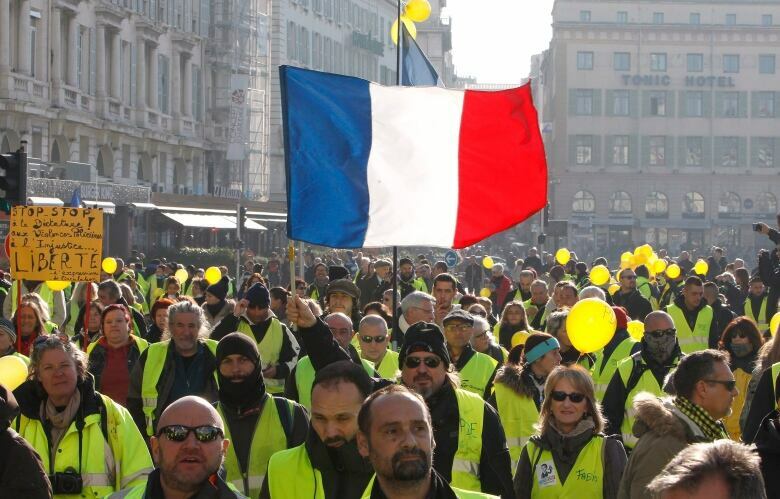 Born from a grassroots protest against high fuel prices, the yellow vests have become a broad and sometimes violent movement demanding more social justice for low-skilled workers left behind by globalization, deregulation and EU integration. Although independent of parties and unions, the movement shares many of the RN's demands: proportional representation in parliament, direct democracy through Swiss-style referendums, less European integration and — above all — Macron's resignation. "If Macron does not have the wisdom to go back to the people by dissolving parliament, then let the political arbitrage come from European elections," said Le Pen, as her supporters repeatedly shouted "Macron, demission!" ("Macron, resignation!"). Both Le Pen and far-left leader Jean-Luc Melenchon have publicly sympathized with the yellow vests — named after the high-visibility jackets they wear — and asked for their support. Le Pen hopes the EU vote will advance a redrawing of France's political map. The process began with the first round of the 2017 presidential election, when Macron's upstart centrist movement and her own National Front, since renamed, eliminated the traditional big parties — the conservative Les Republicains and the Socialists. "The battle is now between nationalists and globalists," she said. Since the start of the yellow vest protests, Le Pen's RN has gained in the polls. A mid-December Ifop poll gave it 24 per cent support against 18 per cent for Macron's LREM. The conservatives had 11 per cent, Melenchon's La France Insoumise ("France Unbowed") nine per cent, the movement of former Le Pen ally Nicolas Dupont-Aignan eight per cent and the Socialists just 4.5 per cent. 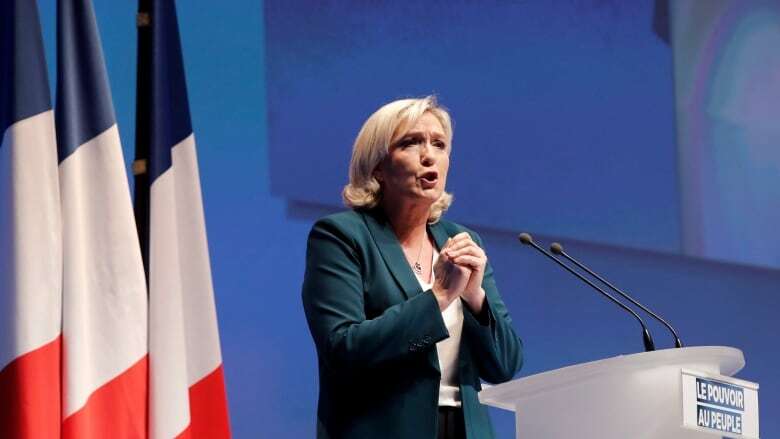 Le Pen herself is not running in the European election as she wants to remain in the French parliament, and on Sunday presented 23-year-old Jordan Bardella as the NR's leading candidate. "In Italy and Austria, our allies are governing," Bardella said. "A better tomorrow is within our grasp." Macron himself will launch three months of national debate this week to air yellow vest grievances in the hope of appeasing the movement. The French president's office issued a "letter to the French" from Macron on Sunday evening. He explained how he planned to address the yellow vests movement's concerns through a three-month "grand debate" taking place through meetings in all the country's regions starting this week. In the letter, Macron encouraged the public to use the debate to express views on four main topics: taxes, public services, climate change and democratic issues. "That's how I want to turn angers into solutions with you," he wrote. The French leader said the debate would help the government develop policies and France's position on the European and international scene.